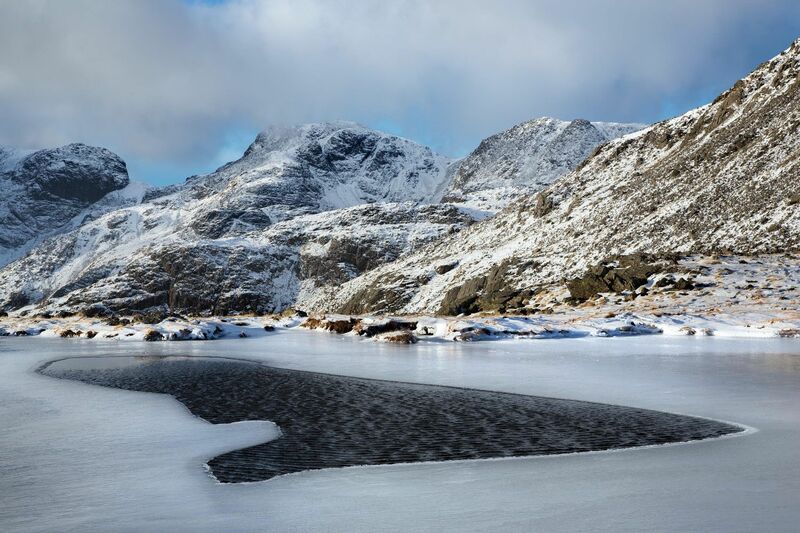 The view of Scafell and Scafell Pike from Three Tarns is for me the best way to see the highest mountain in England. It takes about 2 hours walk from Dungeon Gyhll to get here in the snow and ice but when you arrive it can literally take your breath away. A stunning location especially in the depths of winter.